Regular readers of Fashion and Style Police would know my love for Japanese skincare products. And how I have been busy lately trying them out. I got a couple of skincare products thanks to M’s trip to Japan, and these Shiseido products are some of them. Prior to trying out these products, I have heard a lot about Shiseido, so the name rang a bell as soon as I saw the products. But this is my first time actually trying products from the brand. The Essential Energy Moisturizing Cream by the Japanese brand – Shisedo, promises to leave the skin looking and feeling moisturised, smooth and luminous. This Shisedo Essential Energy Day Emulsion features ReNeura Technology™, which helps make skin more responsive to its skincare benefits. This product leaves the skin hydrated. Shisedo Essential Energy Moisturizing Gel Cream also features ReNeura Technology™. It helps elevate the effectiveness of a moisturizing and pro-radiance active ingredient complex to the highest level. Here are my thoughts on these skincare products. These Shiseido skincare products are great in tackling the first signs of ageing. They are great for all skin types. The products moisturise the skin, leaving art looking hydrated and vibrant. I really like the compact packaging. The products keep the skin protected from hazards throughout the day. You can grab these products in most beauty stores and online shops. They are paragon and mineral oil free. Overall, I would recommend these Shiseido products to women over 30 dealing with the first signs of ageing. I think these skincare products are quite useful, and they do the job perfectly. So it makes sense shopping Shiseido if you can afford to. The products come with a hefty price tag but when it comes to skincare, I have had to learn that you get what you pay for. Quality skincare does not come cheap. And the older we get, the more money we may have to spend on our skincare products. What do you think of these Shiseido products? Have you used any of them before? It’s very easy to get blinded by the fun and anticipation of the holiday ahead of you, but that can’t stop you from doing the things that everyone should be doing before they reach the departure gate. Ignorance always costs when you’re about to go travelling, so don’t allow yourself to set out on your travels before you’ve made sure that you’ve covered all the essential basics. If you’re wondering what exactly those essential bases are, we’re going to help you find out. It’s not too late for you to get things done and to make yourself secure and ready for what lies ahead of you. Sure, it can be time-consuming and boring to get everything done ahead of your big holiday, but it’ll pay off when you’re able to relax properly during the actual holiday itself. So read on to find out more. Finding the very best exchange rates for yourself ahead of your trip is definitely important. You don’t want to exchange your money only to later find that you could have found yourself a better deal elsewhere if you’d have looked harder. There are plenty of resources online that will help you to find the best possible deal for your currency exchange. The same applies when you return home. You can also use a money saving discount website like DealsDaddy for a have voucher code for hotel booking, travel booking or Ski holiday. Even if it might not seem like it at the time, whenever you leave for a holiday without getting all of your travel insurance sorted, you take a big risk. If you were to have an accident or get sick while you’re in another country, the bills you’d have to face when you return home would be huge. 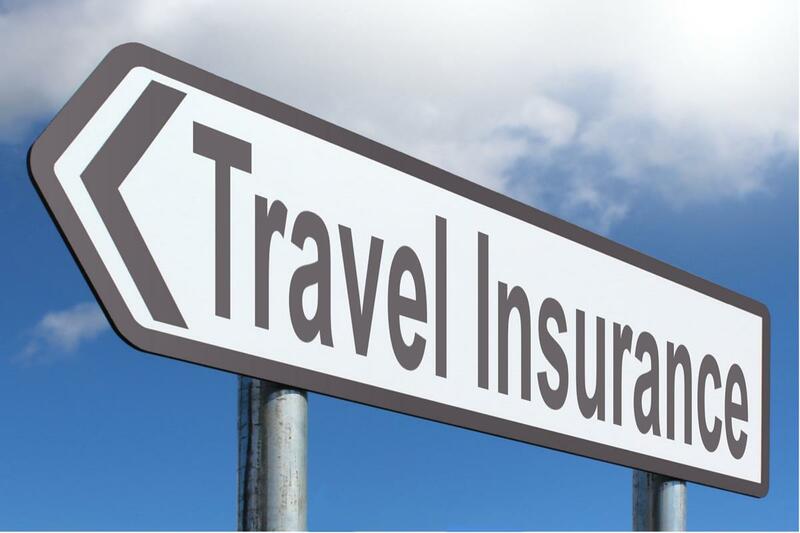 With a cheap travel insurance policy, you’d ensure that risk was never taken. It’s not always as easy as picking up your passport and boarding pass and heading to the airport. Sometimes, you need to have further documentation to prove you have the right to be entering a country. Different countries have different rules regarding all this, so you should check and double check you know the rules and have the right papers and documents before you get close to your date of departure. The bank should always be aware of where you’re going if you’re planning on using your card in another country. If they’re not aware, they could mistakenly think that someone has stolen your card details and has started using them overseas. This does happen so you can’t blame them for being cautious. However, you definitely don’t want to be dealing with a frozen account when you’re trying to relax and have a good time on holiday. You definitely need to be looking after your general health and personal hygiene ahead of your trip. You don’t want a health problem to derail your holiday. It’s also important to think about the potential health problems you might face when you’re away. For example, combating diseases and big bites can be a major issue. Other things can be down to a matter of convenience, such as finding options to delay your period. Consider everything and prepare accordingly. Thinking about your budget is something that you definitely need to do when you’re about to head out on holiday. It might sound obvious, but it’s something people don’t always plan out in enough depth. The last thing you want is to run out of money when you’re on a foreign country. If you’re forced to start using your credit card rather than cash or travellers cheques, you’ll incur fees for every transaction and withdrawal because you’re in another country. So many people land at their destination and then book a hire car when they’re there. It’s something that might sound sensible and logical enough, but that doesn’t mean it actually is. You tend to get far worse deals when you book on arrival because the companies operating there know that you need a car right away so you can start your holiday. You have more options and therefore more chances to save money if you do this in advance. It should also be quicker. Heading off on your holiday is one of those exciting times in life that everyone should cherish and enjoy. But before you do that, you need to make sure that you get all of these issues covered. Only then will you be able to get the most out of your holiday without any worries or problems.